Grace’s Guide is a vast online library of industrial and manufacturing history in Britain from the mid 1800s right up to the present day. We have over 100,000 online pages covering the companies, products and people with thousands of images and hundreds of searchable pdfs, so it can be a little difficult to navigate. 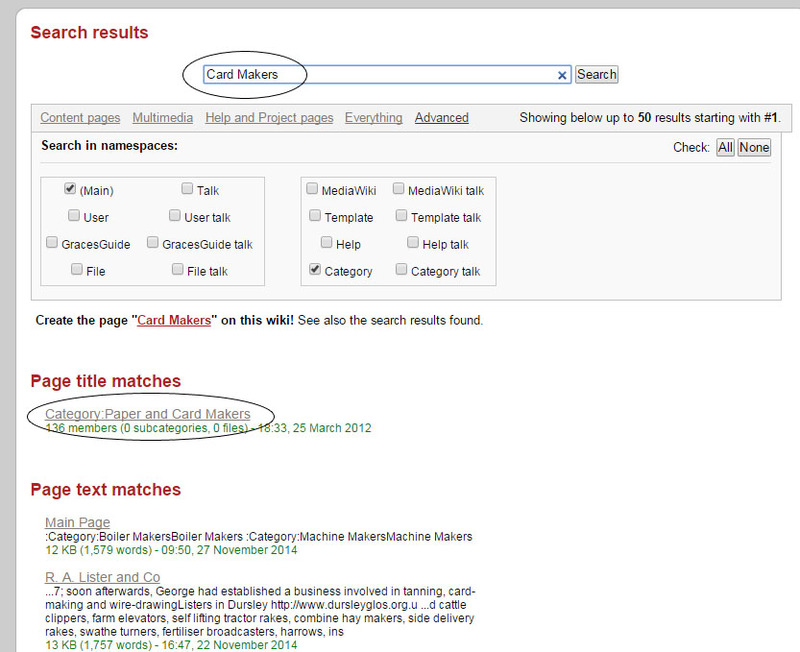 Make full use of our category pages to explore the subject you’re researching. Every new page we create, we assign a category. We have a list of popular categories on the home page, but the full list of categories can be found but selecting Show All Categories in the centre of the Homepage. Our category search bar is only able to navigate alphabetically, and the Category titles may not necessarily match the keywords you type, so if you are searching for 'Ports' for example, you will not find the actual category of 'Harbours, Ports and Docks' using this tool. 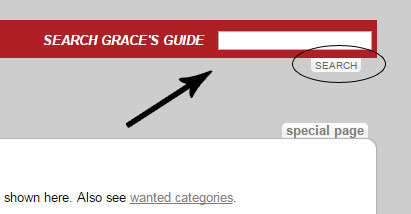 So unless you know the name of the category we suggest you perform a Category-Specific search using the advanced function of the main Grace's Guide search bar. Use the search bar on the top right hand page. Click on search to get to the search options. By clicking on the ‘Advanced’ tab you can check the category box and include category searches in addition to text match searches when entering your keyword. Or, if you only want to search for categories, uncheck the ‘Main’ box. For example, if I were to follow this process and search for ‘Card Makers’ I will get the category ‘Paper and Card Makers’ in the Page title matches plus a list of results that may prove useful, under the Page text matches. When searching for a person, try searching for their surname only. There are over 20,000 biography pages, often with similar or sometimes identical names and some of our pages list people with their initials, so a more general search-term can produce more accurate results. Remember we list all biography pages in the ‘biography category’. When you click-through to the biography page, you’ll notice the first page lists the first 10,000 people from A-I. Scroll down to the bottom of the page and click on the ‘next 10,000’ to continue through the alphabet. If you’re searching for a person with the surname ‘Webbers’ for example, you’d have to visit the last page. 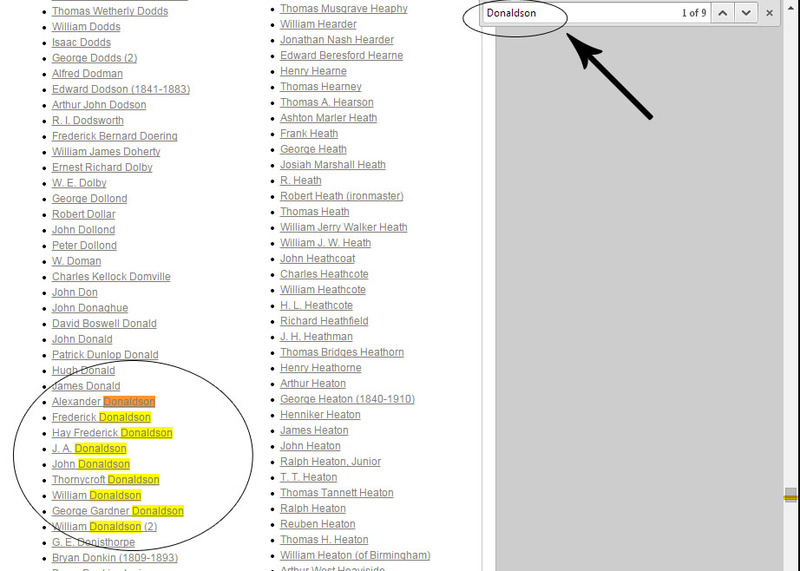 Rather than scrolling down the page to locate your name, try using the handy ctrl-f tool. Hold down the ‘Ctrl’ and ‘f’ buttons together on your computer keyboard. You’ll notice a search-bar pop-up on the top right-hand corner of your screen. Type the keyword you’re searching for and press enter on your keyboard to find any matches on the page. In this example, I held the ‘ctrl’ and ‘f’ buttons to pop-up the search-bar, and entered ‘Donaldson’ as a keyword. All the matching search results are highlighted in yellow, and with the arrow keys in the search-bar or the tab keys, I can navigate through each one to find my results. Our search bar will perform better with simpler keyword terms. Remember to try a variety of keywords for your search and look out for categories your subject could be under by selecting the category box in the ‘Advanced’ tab. For example, if searching for the famous locomotive by Robert Stephenson called The Rocket, avoid searching for 'Stephenson's Rocket', but instead perform several searches on Stephenson and Rocket and Early Locomotives. Many of the pages on Grace’s Guide link to other pages. If they do, you’ll notice these links under the ‘See Also‘ heading on every page. 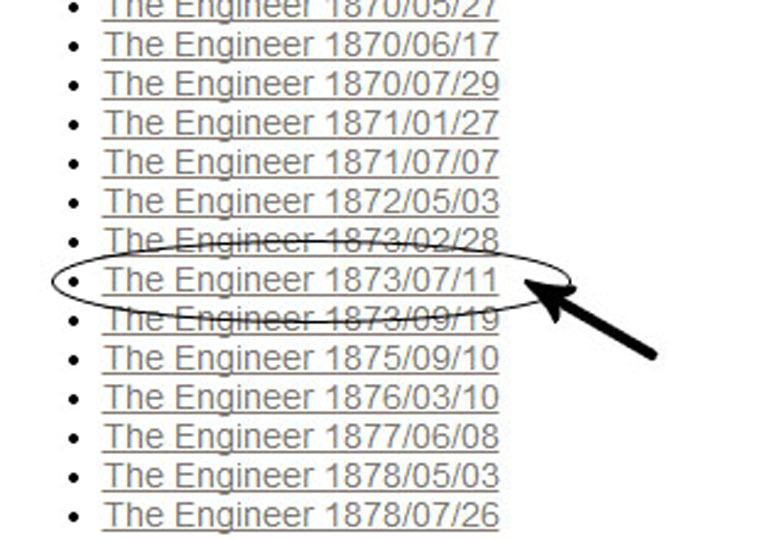 Some of these will appear as dates and these are actually direct links to the journals in The Engineer or Engineering for example, where a reference from the pdf to your target page was made. Click-through to this page and you’ll find a list of main subjects. 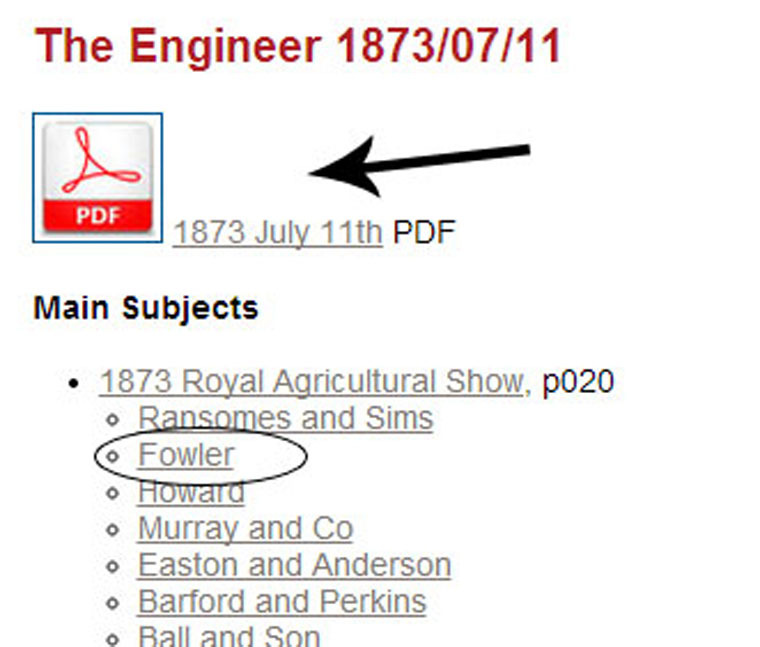 For, John Fowler in this example, he is referenced to the 1873 Royal Agricultural Show. These are useful avenues for further research. For more in-depth researching, you may want to use the Google algorithm to search pages within Grace’s Guide. This has the added benefit of finding hits for words in the readable pdfs, such as those made available for The Engineer and Engineering. To do this you will need to open a new tab or window on your computer and type Google into the navigation bar at the top to bring up it’s home page. By following your search term with site:gracesguide.co.uk you are asking Google to only give you results from the Grace's Guide website. 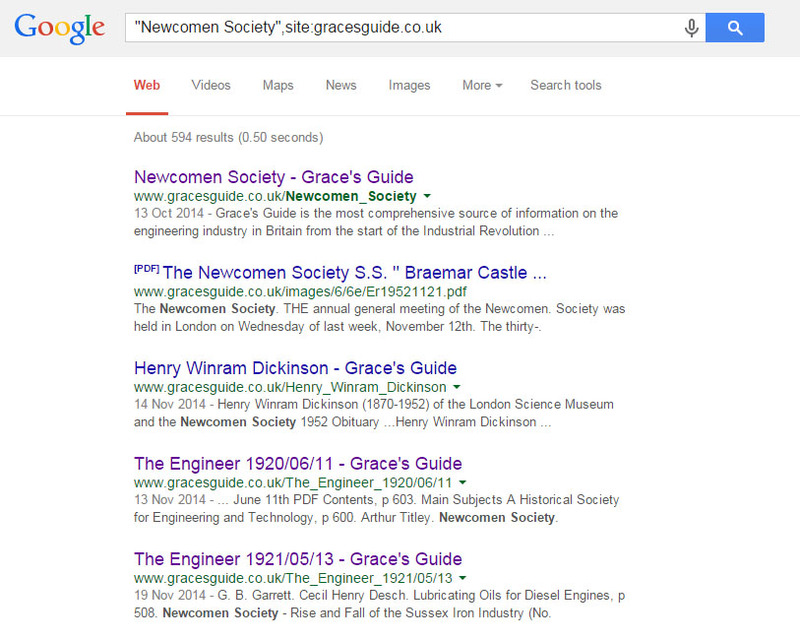 See our example below for searching The Newcomen Society. 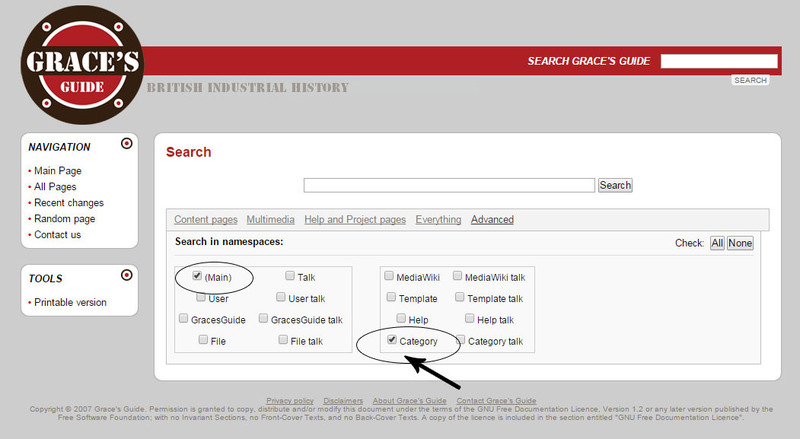 You’ll notice this search finds Grace’s Guide page matches, PDF's and links to The Engineer journals. This is an excellent way to find content for unusual searches or for which a dedicated page may not even exist. Remember if you have any questions, or would like help researching a company, product or person please don’t hesitate to get in touch with us via the 'Contact Us' page and we’ll do our best to assist you. This page was last edited on 10 December 2014, at 15:42.